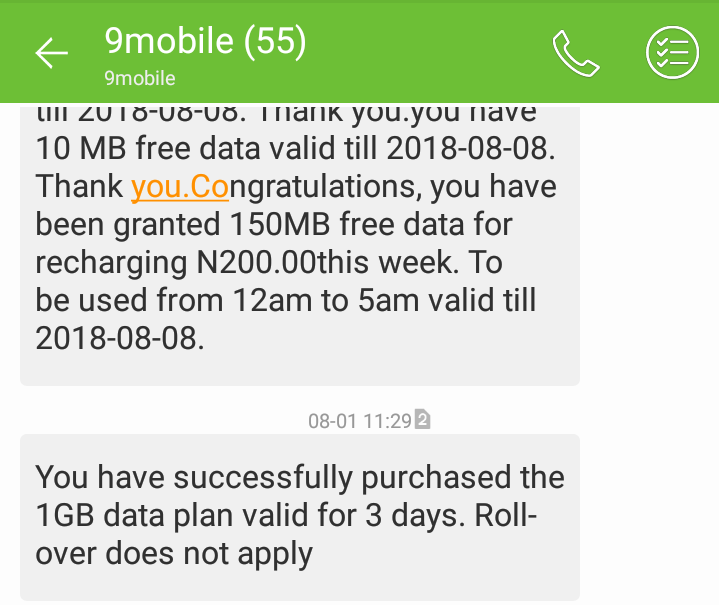 Just like the title reads this is my own personal story on how I subscribe for 1GB of data on 9mobile (old etisalat) at ₦200 only. To subscribe simply dial *929*10# on your phone. If you are eligible for the plan and you have less than ₦200 on your balance you will get insufficient credit error response, you are likely not eligible should you get something else as response. This plan last for 3days and do not rollover, you can use it any day of the week and 24 hours of any day. My observation is that old etisalat lines that you seldom use stand higher chances of being eligible as that was the case of my current line. If it works for you on a fresh new 9mobile SIM please take 15 secs to share your experience with us using the quick reply. Happy surfing!